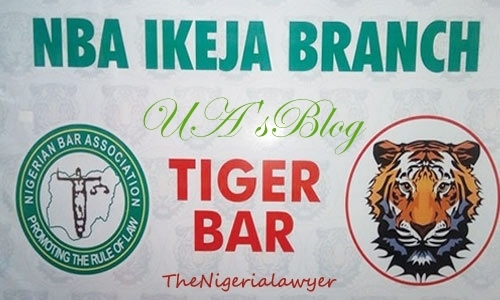 The Nigerian Bar Association, NBA, Ikeja branch is advising land and property owners in Lagos State not to pay the Lagos State 50 percent reduction of the Land Use Charge, LUC offered by Lagos State Government. The Land Use Charge was reviewed after an uproar by many stakeholders including the NBA. Led by the Mr. Adesina Ogunlana, the NBA described the so-called reduction as a sham and called it, ‘Governor Ambode Toxic Tax Must Go’, GATT. The legal practitioners went a step further by promising to defend them in court with nothing less than 3,000 lawyers in the event of government’s prosecution. Calling on stakeholders, Ogunlana urged, “That no Lagosians should be in any hurry to pay the GATT. No payment should be made until the government listens and bows to the peoples will. He reasoned that such call on a proposed legislation should be accompanied with a draft of the proposition and send to the invitee ahead of hearing.